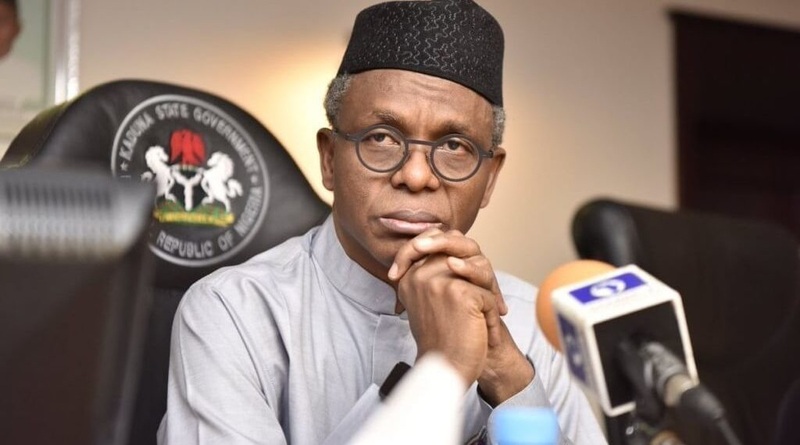 Following massive reactions that greeted his statement, Kaduna State Governor Nasir Ahmad El-Rufai has clarified his comments, saying the reactions that followed his comments were false outrage, which he said must stop. In a statement he issued through his media aide, Samuel Aruwan, El-Rufai insisted that his comments were not call for violence, but a powerful defense of Nigeria’s sovereignty. The Governor said he merely stood up for Nigeria’s dignity in the wake of those who would traduce their country and reduce it to the status of a colony in their vain quest for power. According to him, “A notorious trait of the characters that constitute the opposition in Nigeria is the manufacture of outrage on flimsy grounds. However, contriving anger on false premises and summoning a din of feverish commentary will not alter the facts. Election season is regarded as silly season in some quarters, but it is a very serious moment. “When Malam Nasir El-Rufai appeared on NTA’s Tuesday Night Live, he made comments every patriot can understand. He stood up for Nigeria’s dignity in the wake of those who would traduce their country and reduce it to the status of a colony in their vain quest for power. “The video of his comments is in circulation. Any fair-minded person with modest familiarity with the English language and unimpaired comprehension can understand it. It does not contain any call for violence. What it is a powerful defense of sovereignty? Are some sections of our political class implying that they will acquiesce in or collaborate with foreign intervention in our country? “Malam Nasir El-Rufai has issued a powerful call for vigilance and a clear notice that other countries should not mistake the supine posture of the opposition for national weakness. “Malam Nasir El-Rufai has stood firmly against those who have been trying to divide Nigerians on ethnic and religious lines. He is resolutely opposed to violence, and firmly committed to peace and harmony. “Let the false outrage stop,” El-Rufai said.